Despite the fact that it has been been between 80 to 100+ degrees every day for the past few weeks, I have been craving risotto like a mad woman. Nevermind the fact that it requires about an hour (maybe a little less) over a hot stove in a house that doesn’t have central air conditioning. I know it’s not just for the excuse to open a bottle of wine (or beer, in this case), and I certainly don’t enjoy sweating any more than necessary. Risotto is fun to experiment with; it’s an enjoyable way to pass the time and end up with a dish that feels like I put a little work into it, even though all it really requires is stirring and sipping a cool beverage. I usually use a dry white wine for risotto (see here and here), but this time I wondered if beer would be a successful switch. 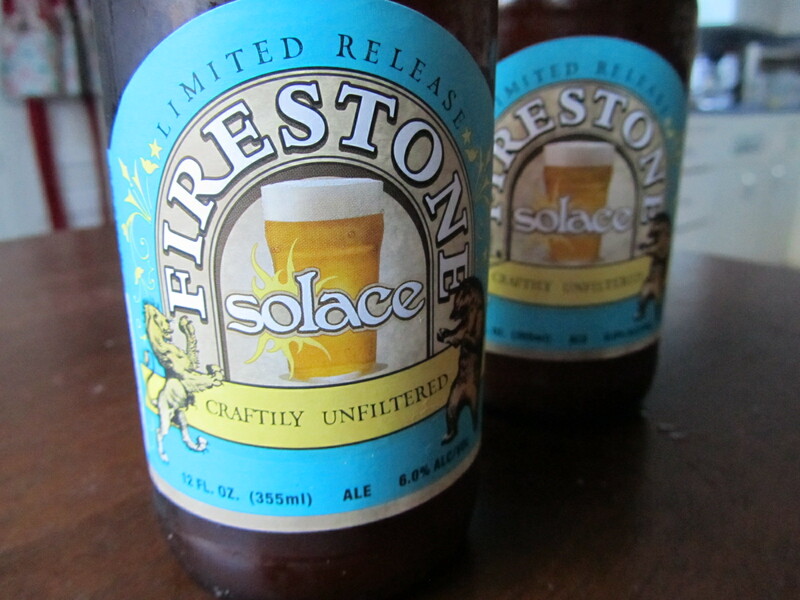 I’ve been obsessed with Firestone’s summer release, Solace, so that was the beer I decided to use…because of course I had to drink my accompaniment! It will be fun to experiment with beers of different intensities. Solace is on the lighter side. 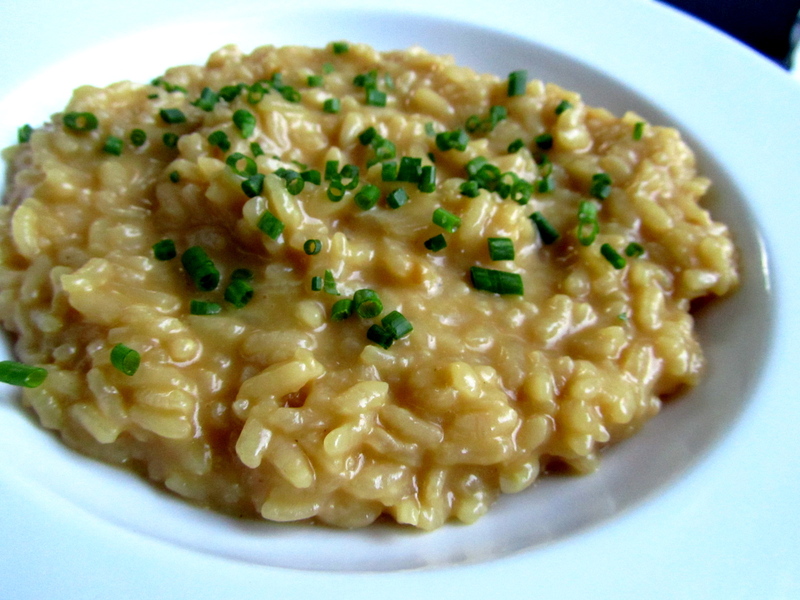 I’d be very curious to try a porter risotto – but maybe I’ll wait for the fall for that one! This entry was posted in beer, main course, pasta, Sweet Life Laur Original, vegetarian by Laura Zolnoski. Bookmark the permalink.